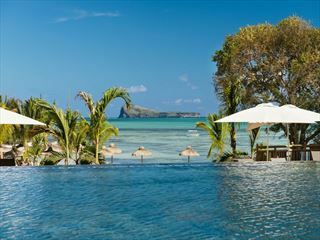 The Ravenala Attitude is Mauritius' first 4* all-suite, all-inclusive resort sitting on the beautiful north-western coast of Mauritius. Set across striking gardens and sitting between the ocean and a river you’ll enjoy lovely views anywhere you look. 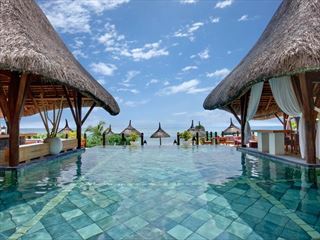 This rustic-style resort is a great choice for families, couples and groups with a range of facilities to suit everyone. 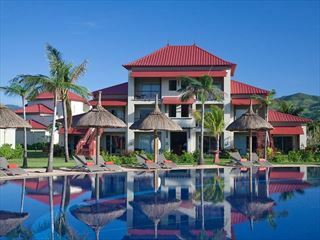 There is a kids club and a separate teens club to suit families of all ages, while parents or couples will love the adult-only restaurants and fantastic Spa Attitude. 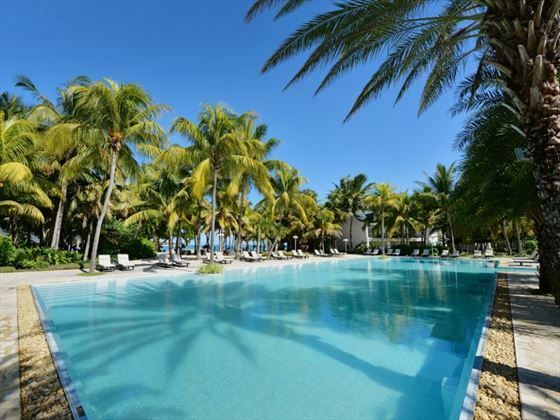 The hotel places an emphasis on the food experience with ten great restaurants serving exceptionally varied cuisine from around the world as well as from Mauritius: sushi, tapas, Italian cuisine, traditional Mauritian food, seafood and much more. There are five bars too offering lovely cocktails and a good selection of wines. 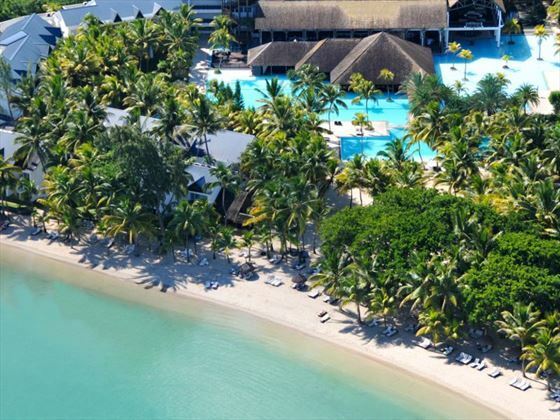 Based in Turtle Bay in the north-west coast of Mauritius, the hotel is nestled amidst exotic gardens, magnificent mountains, and stunning beaches. 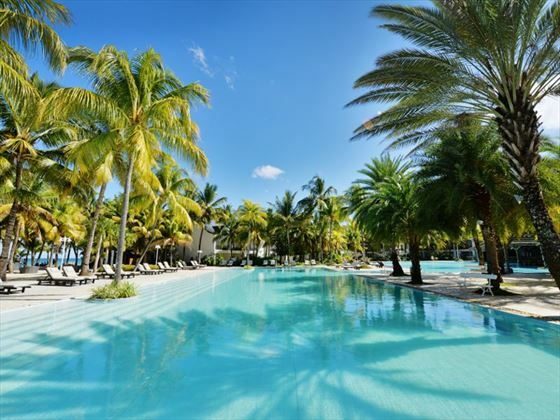 The hotel is around a 15-minute drive from the nightlife and restaurants of Grand Baie, offering relaxing luxury close to a lively village. 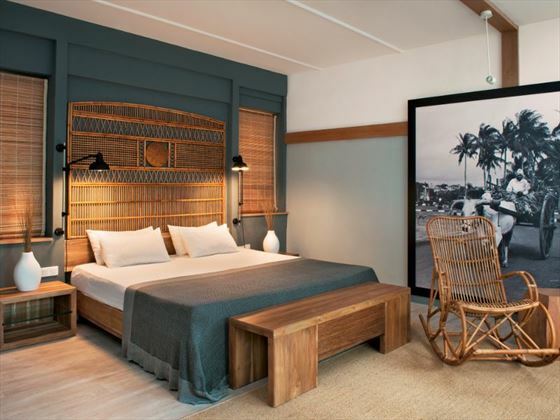 Couple Suite – Stylish, modern rooms embodying a traditional Mauritian vibe with its wooden decor. Sleeps a maximum of two adults. Executive Seafront Adult Suite – Based in the Adult Only wing these suites have coffee machines and concierge service, as well as access to a private beach and restaurant. Sleeps a maximum of two adults. Family Suite – Spacious suites with plenty of space for a family and a modern twist on Mauritian decor. Sleeps a maximum of two adults and three children. Mozaik - The main restaurant, Mozaik offers a delicious, international buffet for breakfast and dinner. The dinner buffet is set in two seatings, to keep the food fresh for guests. A Tavola - A delightful family-friendly restaurant with generous offerings of authentic italian food. Madame Ming - A fabulous a la carte Asian restaurant, with a themed evening once a week. O - A gorgeous restaurant where you can tuck into fresh seafood and bury your feet in the sand. 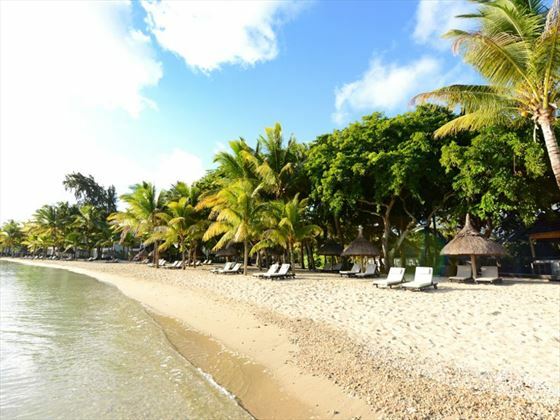 Beach BBQ - Enjoy a fantastic Mauritian tradition and tuck into this friendly barbecue on the beach. Lime - Available for Executive Seafront Adult Suite guests, this is a divine sushi and salad bar but is open at dinner to all adults in other room catagories at extra cost. Riviera - For adults only (18+), this utterly romantic restaurant appears to float on the tranquil river, and offers sumptuous seafood. 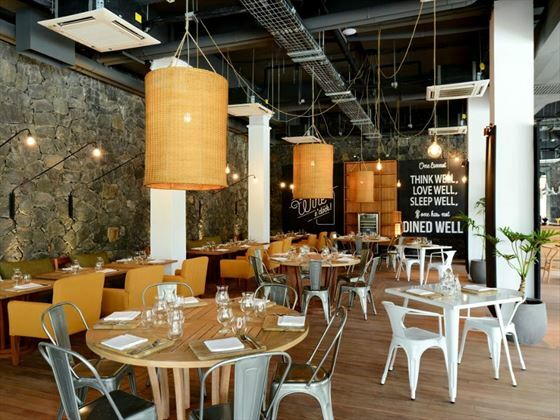 The Bistrot - Fill up on delicious cuts of meat that this welcoming restaurant, as well as featuring a tapas and sports bar open 4pm to midnight. Adults only on Fridays. Kot Nou - Sneak a taste of 'granmamas' traditional Mauritian cuisine with a homely atmosphere. Taba-J - Grab yourself some tasty Mauritian street food at these funky vendors. Pool Bar - A stylish bar right next to the pool. 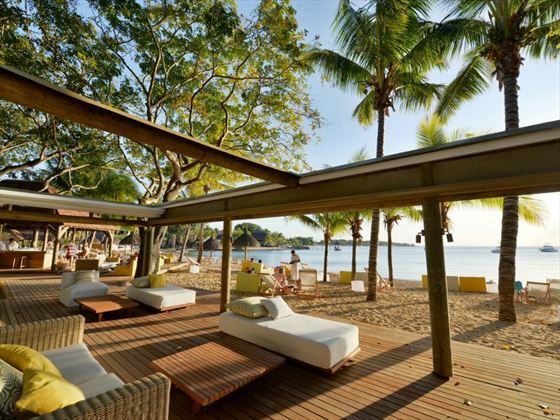 O Beach Lounge - A cosy lounge nestled by the beach. Balcony Bar - A trendy bar located in the lobby. After - A fun night club bar. Ayo Le Dodo Kids' Club, the complementary club for children aged 3-12, hosts a huge range of activities, from treasure hunts to cooking classes, face painting, an outdoor cinema and a fun activity book offered to children over 6. Teens Republic is a cool place for teens aged 12-18 to hang out, offering a pool table, video games, outdoor cinema and a fun programme of activities. Access to the nightclub from 11pm-7am including snacks, sandwiches and a selection of alcoholic and non-alcoholic beverages. Check out of room is 12pm but you can still make full use of your All Inclusive package. Some items on the menu's will be at a supplement. Bride stays free on All Inclusive basis, groom pays single price. A wedding certificate no older than 12 months is required at check-in.